The new, unannounced Walkman G705, aka Rika, made its appearance today on the Unofficial Sony Ericsson blog. Take a look below. It is very cool looking though the specs are still a mystery. So remains to be seen what is under the hood. But, clearly, with the Walkman brand, you would expect it to be a decent multimedia phone. This slider phone will come in two versions G705 and G705u. The G705u will be exclusive to the Orange network whereas the G705 will be available around the world. Both the phones will be available in Silky Gold and Majestic Black (G705u also comes in Luminous Black) and will launch in select markets in Q4 2008 and will be available in US in Q1 of 2009. Sony Ericsson G705 Slider news leaked? 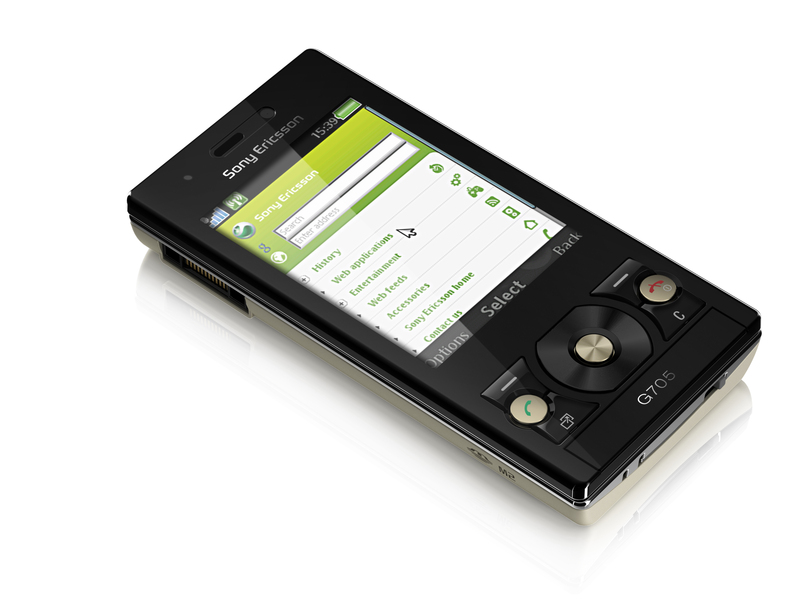 SE4M, an Arabic blog dedicated to Sony Ericsson has unveiled some cool photos of the SE’s G705 slider. This phone has GPS, 3.2 Mpxl camera, 128 MB internal memory and Memory Stick slot. It will run on the A2 (A200) Platform and has WiFi/WLAN support. It is hard to tell what other features are available. There are rumors floating on the web about a major Sony Ericsson announcement in 2 weeks. So, is this the phone they will announce then? Don’t know but in the meantime enjoy the photos courtesy of SE4M.